Well, it was almost the best day. My little buddy came over to visit me. At first we had kind of a misunderstanding. He built his tracks right on top of my ball. 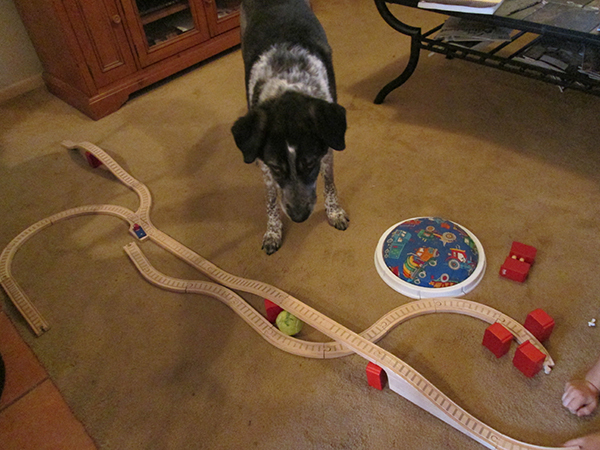 How am I supposed to play with my ball if there are train tracks running over it? But I took care of the problem. 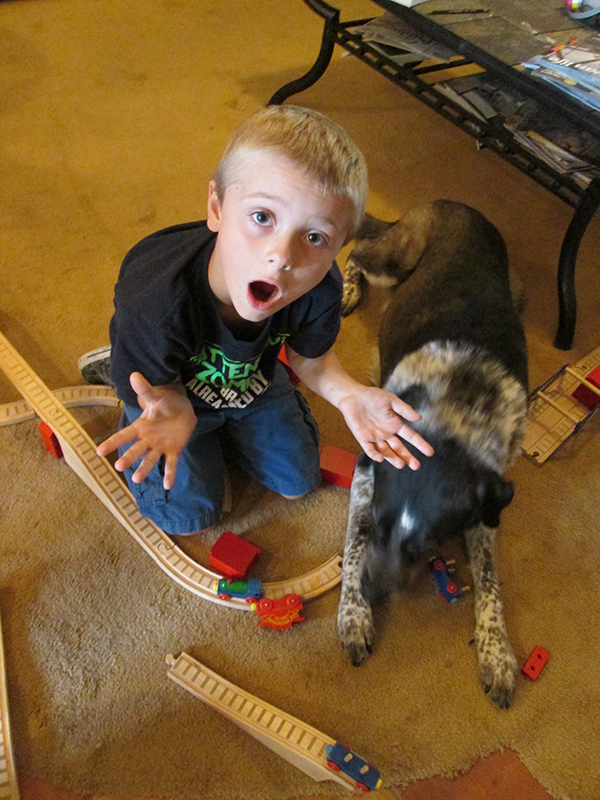 After that my little buddy decided he didn’t need to play with those tracks any more. We had a great time playing Tug o war. woof high Paw!! you go Bongo! Fredrieka, it’s always so much fun to have a friend come over to play with me. That looks like you had TONS of fun Bongo!!! 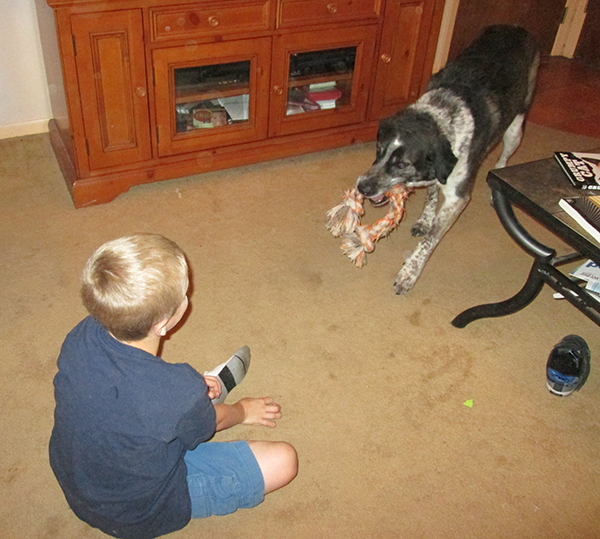 Tug is one of my favorite games to play with my people too. Only sometimes it’s not always with a rope. Sometimes it’s with a precious (my sister’s stinky socks ), and other times with my tree stump. Wall_E my person will only let me play tug o war with my toys that are for that. I’m not sure why but at least they don’t rip when I yank on them. Well you are much bigger than I am Bongo. I’m a little dog so I don’t have the strength that you do. Maybe that is why. Thanks Little Binky. I love it when my buddy come over. Marina, my little buddy likes to come over because I’m so much fun to play with. Maybe Molly would like to join us. Patrecia, I guess I’ll just have to give my little friend some training about balls. So much fun! That boy is tickled pink with you, B. Plus it looks like you’re tickling him!! Cupcake, it’s not often that I get to tickle a person. Looks like you both ended up having lots of fun with each other – the best way to have fun! Barbara, I wish my little friend would come to my house every day. Marty, he’s the best. I wish he would come to my house more often. Woah, looks like you had a pawesome play session. Whee hope you tired each other out because whee have a little male hooman and Mummy is always saying how he needs to be exercised, sadly whee can’t do that as well as you can! Looks like you had a great time! Pigs, my little friend doesn’t come to my house very often so I’ll be glad to come over and help you exercise your little hooman. You are very welcome too! Might stop him from running around and yelling all the time! Kolytyi, I think he liked those belly rubs. 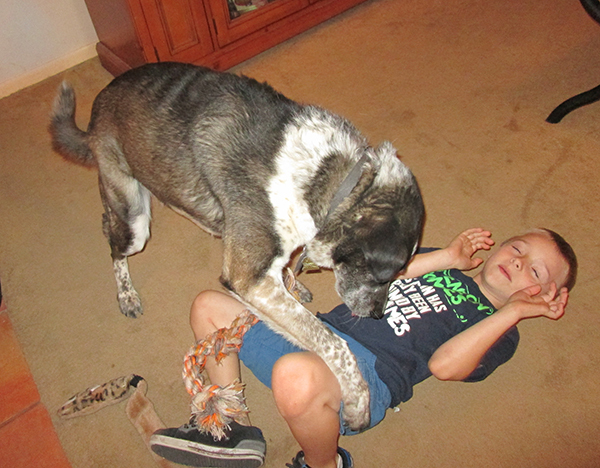 Chancy and Mumsy, as soon as I got my ball back I had a great time with my little friend. I hope he comes back again soon. Kevin, I wish my little friend would come over to my house every day. Maybe you could come and play with me until he comes back again. Looks like you had the most amazing time – once you’d sorted out the ball track issue!! 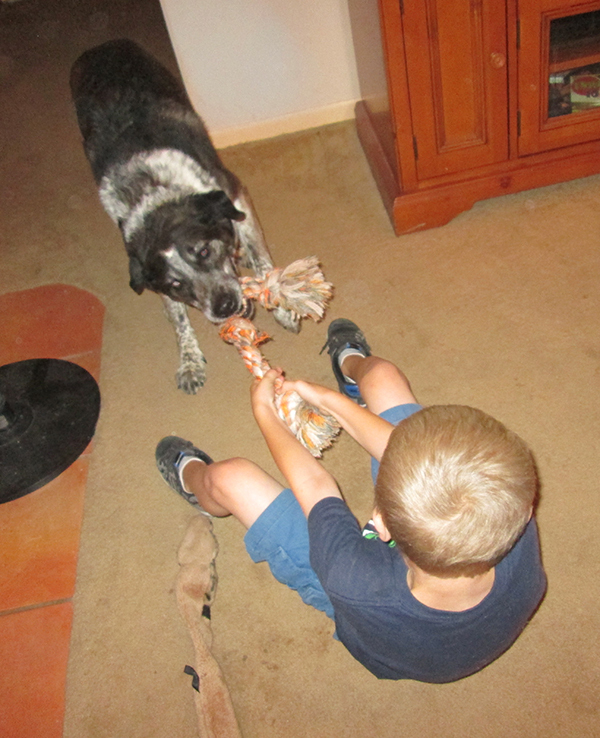 Dalton, I did have to get my little friend straightened out – and then we had a great time playing together.